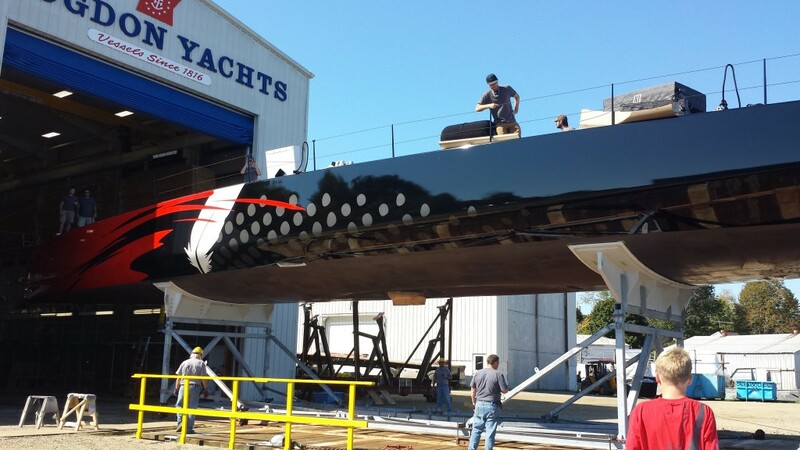 The new VPLP-VERDIER design, a 100ft monohull has been launched this Saturday 27th in Newport, Maine. This racing machine designed for all the major races and world records has required up to 15 000 hours of work. Comanche has been mastered, and received her keel and daggerboards, before she set sails for the first trials scheduled for early October.